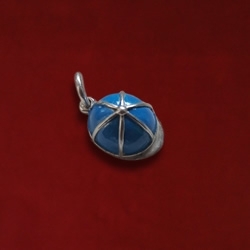 Hand enameled in soft blue this piece measures 5/8″ long by 1/2″ wide. 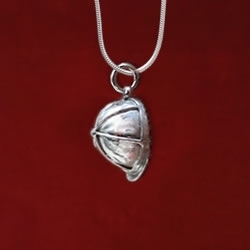 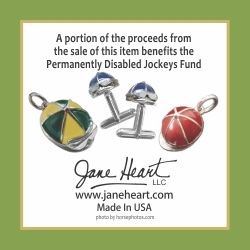 Perfect on a chain and fits Pandora, Troll, and Chamilia bracelets. 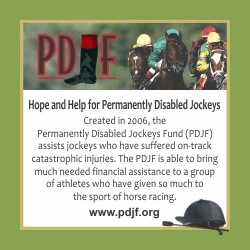 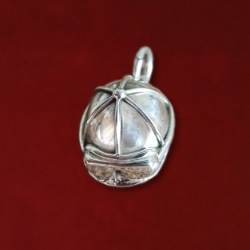 A portion of the proceeds benefits the Permanently Disabled Jockeys Fund www.pdjf.org. 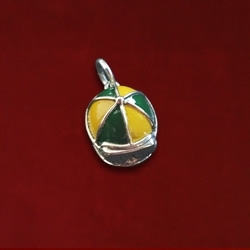 Comes with pouch and commemorative card.